Universal basic income—the proposal that everyone be paid a flat wage by the government, regardless of their economic status—is getting lots of attention these days thanks to the looming threat of mass job losses to automation. This week, start-up incubator Y Combinator announced plans for a pilot program, in which it’ll give basic income to a test set of people in Oakland to see how it goes. Also this week a small collective in San Francisco raffled a one-year basic income package of $1,250 per month to a single winner, a man in Florida. With Silicon Valley at the forefront of developing the automated technologies poised to take a chunk out of the workforce, it’s not surprising that it’s the first place in the U.S. doing basic income trials. Though the ultimate plan would be to have governments doling out basic incomes, these trial programs are being run by private groups who hope to prove the feasibility of free money for no work. Y Combinator’s Matt Krisiloff is managing the basic income project with a team of researchers and consultants from academia and finance. He explained in a phone interview that the idea came about as a result of OPEN AI, the billion-dollar research lab trying to create machine intelligence on par with that of human beings. In other words, the people working on robots and artificial intelligence are scared they are going to make their friends’ and family’s jobs obsolete. Krisiloff said the existing version of basic income in the U.S.—the welfare system—”doesn’t work very well” and is “stigmatized.” “So it made sense for us to figure out new ways to expand the social safety net,” he said. Krisiloff said the program will run for between six months and a year with a group of between 50 and 100 people, all living in Oakland and all receiving between $1,800-2,000 per month. Y Combinator is paying for it with money from its cash reserves. Basic income crosses disparate political divides. It’s long been a dream of the Left to free people from both poverty and an alienating life ofbullshit jobs by covering their basic needs and allowing them to pursue a quality of life they are otherwise denied. For the Right, the hope of dismantling welfare and minimizing government might likewise be realized by introducing a basic income to replace all other forms of government assistance (which for several reasons, might not be the best idea.) It is an argument at once economic, political and philosophical in nature, getting to the very heart of contemporary capitalism and the purpose of work as it has been debated for centuries. Now looming mass automation in several sectors—particularly in the service and manufacturing industries—is turning universal basic income from a collectivist utopian vision to a practicality that might be required if we truly see the widespread unemployment of millions of people. Writing last month at Medium, Scott Santens made a pretty stark case for this by focusing on what the automation of just one industry—trucking—would mean, not only for drivers who would be unemployed, but for all the attendant businesses which make their money from the trucking industry. 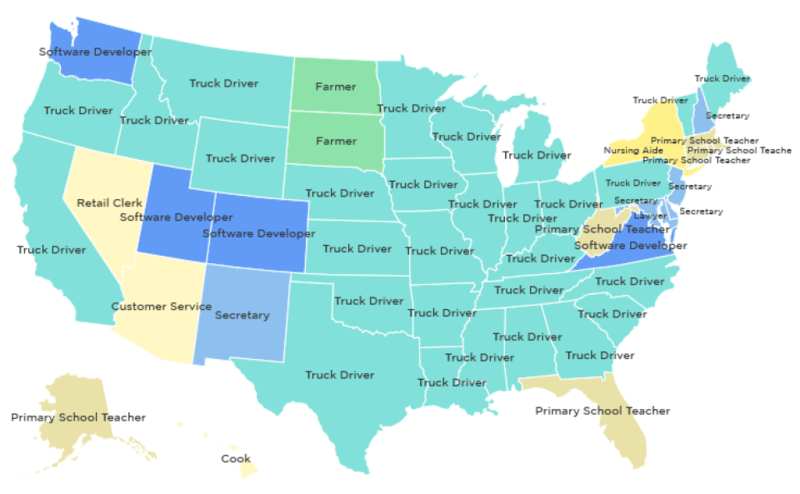 “We are facing the decimation of entire small town economies,” wrote Santens, including this map to emphasize how hard-hitting self-driving trucks will be for the American employment force. Santens estimates 8.7 million jobs will be lost if self-driving trucks go mainstream, which would add a significant number to the 21 million under- or unemployed people currently in the U.S.
Krisiloff sees this as the industry most threatened, and soonest, by automation. “It’s possible that self-driving vehicles could phase out truck driving jobs and service jobs like taxi-driving and Uber driving within the next 5-10 years,” he said. While screaming “ROBOTS WILL TAKE ALL THE JOBS!” makes for fun jokes, it really isn’t a joke. Robots could, in time, take whichever jobs can conceivably be done cheaper by machines than people. What those people will be left to live on, or do for a living, will need to be planned for in tandem with the roll-out of automated technologies. Still, there are entrenched objections to introducing a universal living wage. Some of them are almost puritanical in nature: a fear that without work, no matter how menial or degrading, people will overnight become drug addicts and hedonistic layabouts and civil society will collapse. 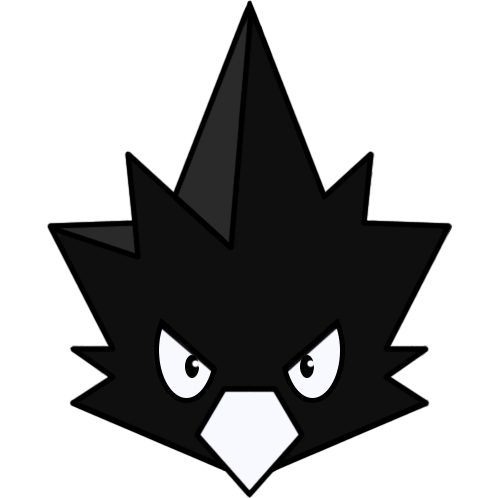 Krisiloff touched on this when discussing the aims of the project. Other major objections to basic income point to the need for means-testing. It doesn’t make sense to give money to people who are already economically comfortable if the main purpose of basic income is to eliminate poverty and unemployment. Means-testing then opens the door to objections over the fairness of the enterprise if only some people are eligible. With Social Security for senior citizens in the U.S., it’s given to everyone no matter their need; should basic income work the same way? There are at the moment no datasets on any of the potential scenarios proposed for how a basic income might work in practice, so no way yet of gauging what the outcomes might be. But around the world there are studies underway to try and answer these questions, in Namibia,Finland, Switzerland and Canada. What is enough to live on? This is not easily answered in a blanket assessment for every person living in the United States where the cost of living varies widely across the country and inside cities themselves. Answering these questions in any meaningful way has to start somewhere, and while pilot programs produce small and particular datasets, at least real world research has begun. Private enterprise taking the place of government rightly causes many people deep discomfort. But if the people creating the machines that could replace us are worried those machines could take their own jobs, then maybe it’s time to start taking these proposals, in an eventual workable format, seriously.